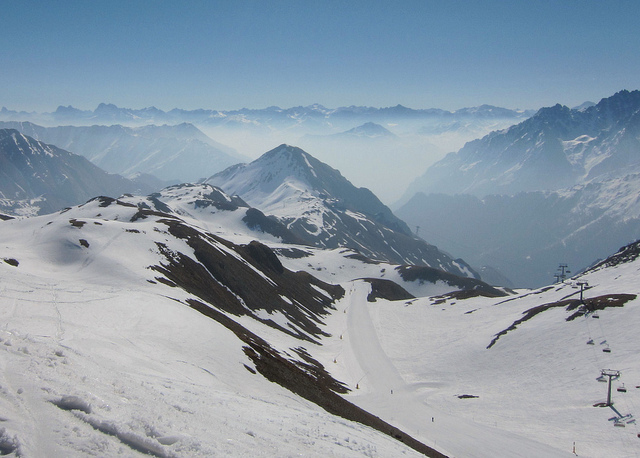 he Silvretta Arena comprises a large area between quiet, duty-free Samnaun in Switzerland and party-town Ischgl in Austria. 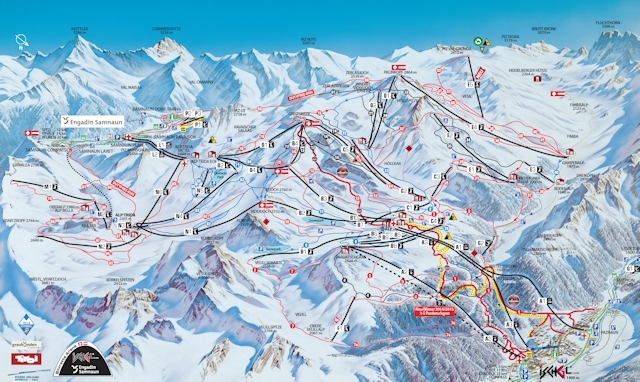 There is some excellent skiing and snowboarding, particularly for intermediate skiers and snowboarders, and the area is largely clear of flats and unavoidable surface lifts. The modern, efficient lifts, excellent park, high, well-groomed slopes and Ischgl's après ski give it an almost legendary status amongst those with a work hard, play hard ethic, contrasting with the more traditional, family atmosphere of Samnaun. Plans to extend what is already a huge resort with new runs off Piz Val Gronda have hit environmental opposition and are currently on ice, so to speak. Ischgl is easier to get to than Samnaun, and cheaper, even with Samnaun's duty-free status - there are customs posts on the pistes which, although I have never seen them manned, are presumably to stop smugglers using skis to smuggle contraband. Although lacking the machismo of some other resorts, for the intermediate skier or snowboarder this is one of the best resorts in the world. 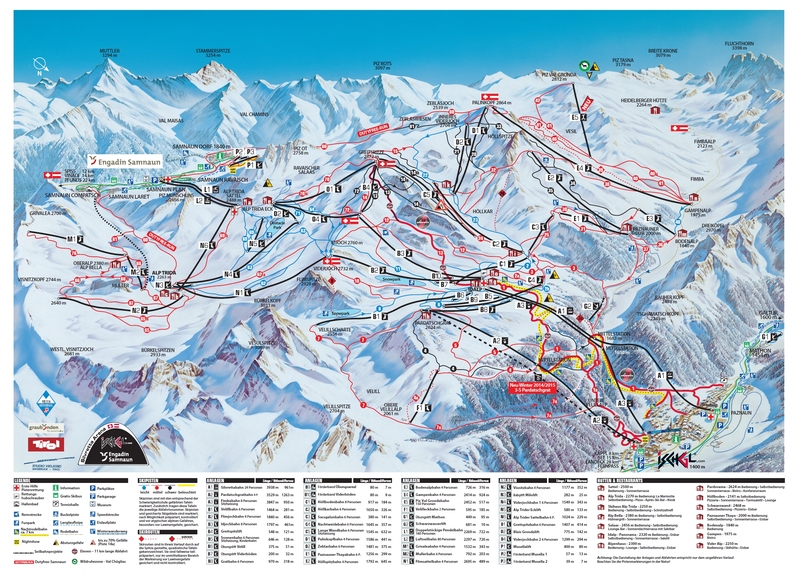 Many people eschew the prices and nightlife of Ischgl and stay in the villages nearby and take the bus to the slopes. Indeed it is easily feasible to get to Ischgl for a day trip from Innsbruck or St Anton using the fast, regular train service to Landeck-Zams, from where it is about an hour on the bus to Ischgl. 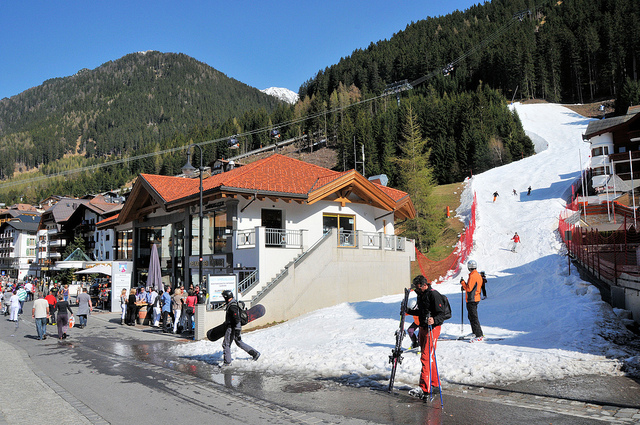 There is both a regular bus service that runs between Landeck-Zams Railway Station to Ischgl and also a seasonal ski bus, with some timetabled services starting at Landeck - at the time of writing the ski bus has pick-ups at Landeck-Zams Station at 7.40am and 8.40am, amongst other times throughout the day. The road distance from Zurich is around 222 km and the journey time is roughly 2 hrs 40 mins. The road distance from Basel is around 300 km and the journey time is roughly 3 hrs 30 mins. $$$ Des Alpes, Samnaun (3*) Ranked #14 by Tages-Anzeiger amongst Swiss 3* Hotels. $$$ Wellness Hotel Chasa Montana, Samnaun (4*) Ranked #9 by Tages-Anzeiger amongst Swiss 4* Hotels, and ranked #1 in Samnaun by TripAdvisor.